EcoGen Pest Control is an environmentally friendly and top rated pest control company in Southern Nevada. We have quickly gained trust as professional pest control service providers in Las Vegas. We provide a thorough and effective service to residential and commercial customers. EcoGen’s Service Professionals are licensed, trained, knowledgeable, and experienced in providing the safest and most effective control of pests around your home or business. Our Service Professionals use products that are highly effective against pests and ensure safety of your children and pets. EcoGen is locally owned and operated in Southern Nevada. The company headquarters on Hacienda Avenue, West of I-15, in Las Vegas, Nevada. We are certified by Home advisor as the top rated Las Vegas pest control service. Additionally, we have been screened and approved by Home Advisor as a local trusted professional. We use state of the art facilities. Our team is hard working and committed. We provide the latest training to our staff to ensure they have a pleasurable working experience. We are technically licensed. We use the most environmentally friendly pest control products. We provide never compromise on the quality. We are proud to have a team of honest and hard working professionals. EcoGen provides complete control of all pests surrounding the inside and outside of your home. Our service professionals are trained and equipped to control ants, spiders, cockroaches, beetles, centipedes, earwigs, crickets, black widows, scorpions, silverfish, mice, rats and much more. 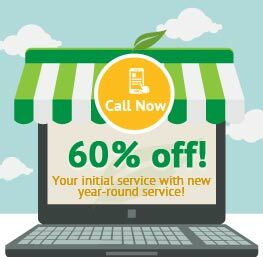 Our service professionals communicate with you at every step of the pest control process. We tell you clearly the steps that we are about to take, what products we are using, how and where we will apply them. Our methods are effective and thorough. 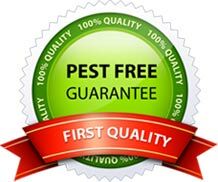 So you can feel comfortable and confident that you have come to the right place for your pest control needs. We offer a plethora of perimeter and foundation treatments for your home. Our team of experienced professionals conduct a thorough inspection and design an effective plan that based on the inspection findings. We use environmentally friendly products and services to establish an effective barrier around the perimeter and foundation of your home. Spider webs are physically removed from different areas on the exterior of your home, such as on porches, under eaves and on decks. Cockroaches are a major carrier of bacteria borne diseases. We use a combination of insect growth regulators and roach bait gels to control cockroach infestations. Scorpions avoid the sun and hide in harborage sites. We establish powerful barriers around the perimeter of your house and potential entry points such as windows, cracks, crevices and wall voids to avoid the entry of scorpions. We use different rodent control processes such as combination of trapping and baiting to achieve the highest result rate of elimination. Additionally, we consistently use quality rodent bait that helps to quickly bring down the population and inhibit rapid growth. Moreover, it is critical to remove food and maintain high levels of sanitation for rodent control.